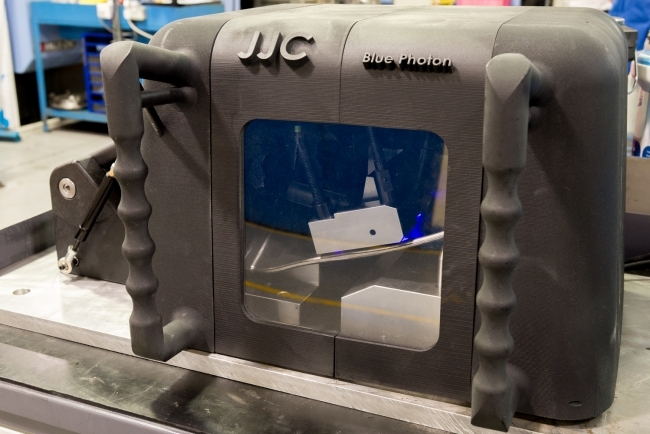 Aerospace engineering firm JJ Churchill has announced that it has reduced its tooling costs by 5% with a 50% reduction in the number of machining operations on a specific critical part following an investment in Blue Photon technology. This technology is applied to a titanium aluminide aerofoil blade component which is an extremely difficult material to fixture and machine. Blue Photon fixes the component to the tool with an adhesive, which cured under UV light, is strong enough for the most rigorous machining techniques including 5‐axis CNC. The process is a replacement for encapsulation, providing reduced fixture complexity. 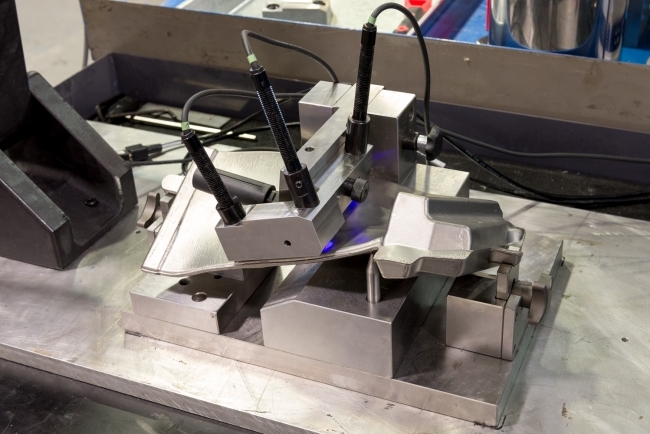 Once the blade root and tip have been machined held using the Blue Photon technology, the workpiece is transferred to a Starrag five‐axis machining centre. The workpiece is held in specifically‐developed fixturing for the fast and effective complete machining of the aerofoil from forged blanks that are, at most, 5 mm oversize. The impact on JJ Churchill’s overall production is to increase capacity which is essential as the company continues its high growth trajectory, while also benefitting the environment, another of JJ Churchill’s key performance measures. Using Blue Photon reduces the energy (electricity) required for the process. The current encapsulation method requires a molten metal case being applied to the part to aid holding, a process which requires significant energy to heat the encapsulation material to a sufficient temperature. In comparison, Blue Photon uses a 12V low‐power UV curing box. Mark Cooper, JJ Churchill’s Managing Director, said: “Blue Photon has substantially increased the capacity and accuracy of our machining operations. We have always manufactured the highest quality components. Based in Market Bosworth, Leicestershire, JJ Churchill employs 140 people, and manufactures high precision gas turbine components for the aerospace industry as well as high horsepower diesel engine components and assemblies for industrial and power generation applications.